Our team and partners rounded up ten contributors & editors to dish the secrets on their all-time favorite destinations. Here’s the list of places around the world that they came up with. Getting to Los Llanos Orientales, a patchwork of forest, grassy savanna, and wetlands in eastern Colombia takes effort. From Bogotá, it’s a one-hour flight east to the regional capital of Yopal, followed by a 2.5-hour drive into the bush. But when you arrive, you’ll be rewarded with a stay at Corocora Camp, a new four-tent safari lodge in the heart of a private 22,000-plus-acre nature reserve that’s reminiscent of Botswana’s Okavango Delta. Keep an eye out for giant anteaters, pumas, chubby capybaras, and over 200 species of birds as you enjoy aged Colombian rums on your tent’s private terrace. Or search for wildlife on foot, by 4×4, or on horseback with your own private guide. Taos Ski Valley has seen a renaissance since it was bought by philanthropist Louis Bacon in 2013. In addition to becoming the first B Corp–a certified ski resort—it meets the nonprofit’s high standards for environmental and social responsibility—the mountain has seen massive improvements including a new high-speed quad chair and the LEED-certified, 80-room Blake Hotel (from $259). The 115-mile Waitukubuli National Trail on mountainous Dominica is the Caribbean’s only through-hike. Spanning from the village of Scott’s Head in the south to Cabrits National Park up north, the trail opened in 2013 but was devastated by Hurricane Maria in 2017. Today all but three of the route’s 14 sections have been entirely rehabbed and are open to the public. Along the way, you’ll pass an 18th-century French settlement, view dormant volcanic peaks, and swim in Emerald Pool beneath a cascading waterfall in 17,000-acre Morne Trois Pitons National Park. The Lodge at Blue Sky, which will have its grand opening in May, offers a fresh take on the ranch escape. Forget rustic cabins—accommodations range from 600-square-foot rooms to two-story, two-bedroom suites, each with panoramic views of the 3,500-acre property. And while there’s a 7,400-square-foot spa and classic dude-ranch staples like horseback riding and sport shooting, it’s the year-round mountain adventures—including heli-biking, resort and nordic skiing, snowshoeing, and fly-fishing—and the lodge’s exclusive ski-in, ski-out lounge in the Park City Mountain Resort village that steal the show. Blue Sky also takes brag-worthy hotel bars to a new level with an on-site distillery from award-winning Utah whiskey maker High West. Before you sip grain-to-glass cocktails, you can learn about the mashing, milling, and aging process. From $850 —J.M. Whether you prefer haute or hut cuisine, the Dolomites in Italy’s South Tyrol have the best of both. The region is a culinary melting pot of Italian and Austrian traditions mixed with rustic influences from the local Ladins culture. On weeklong guided or self-guided gourmet ski safaris with adventure outfitter Dolomite Mountains, you’ll earn your turns and meals. Owner Agustina Marmol has spent over a decade finding the area’s top restaurants to customize trips for every palate. You’ll ski between remote rifugios (backcountry huts) that serve hearty dishes like venison polenta and offer lodging, and dine in Michelin-starred restaurants like San Cassiano’s St. Hubertus. In the summer, the outfitter offers a food crawl, where you’ll hike, bike, and climb to reach picnics and restaurants housed in alpine farmhouses. From $2,200 for seven days —J.M. In fall 2017, after nearly four decades of protection, Congress opened part of the 19.6-million-acre Arctic National Wildlife Refuge—one of America’s largest, wildest, and most re­mote tracts of public land—to oil exploration, which could devastate its ecosystem. For ten days and 42 miles, you’ll float Class II–III rapids from the river’s headwaters at Drain Creek through mountain vales and lupine-studded tundra to Caribou Pass. Work with your guide to set up base camp on the state’s North Slope in late June to early July and ogle the migrating, 200,000-strong Porcupine herd at its calving grounds on the coastal plain. The weeklong 60-mile trek and paddle adventure from the Jago River to the Hulahula takes you along trackless tundra and past 8,000-plus-foot peaks. Bring a pack raft for the smaller waters. Local Inupiat guides from Kaktovik will ferry you on the Beaufort Sea to Barter Island, where dozens of polar bears gather in autumn to scavenge whale carcasses. Noah Surf House looks even better in person. Located an hour north of Lisbon in the small village of Santa Cruz, the resort’s 13 podlike eco-friendly bungalows and a main lodge are just across the street from one of the best breaks in the region, along with the bunk room’s fitness studio, infinity pool, skate park, hot tub, and fire pit. If it isn’t going off, the coast has endless other options, which the in-house guides will drive you to. Don’t miss Noah’s Restaurant and Beach House, just down the hill on the sand of Praia da Fisica, for drippingly fresh seafood and comfy chaises—the perfect place to lounge beachside between surf sessions. Then head up the road to the hotel’s higher-end sister property, Areias do Seixo, for a massage. It takes some savvy navigating skills to tackle the newly mapped Big Bend 100, a ten-day self-supported cross-country trek that links existing paths, dirt roads, and sandy arroyos, often with ten or more miles between water sources. In other words, this undertaking requires research, expert backpacking and camping skills, and DIY grit, but the rewards are total solitude, stark desert beauty, and the increasingly rare satisfaction that you’ve completed a through-hike few have even heard of. 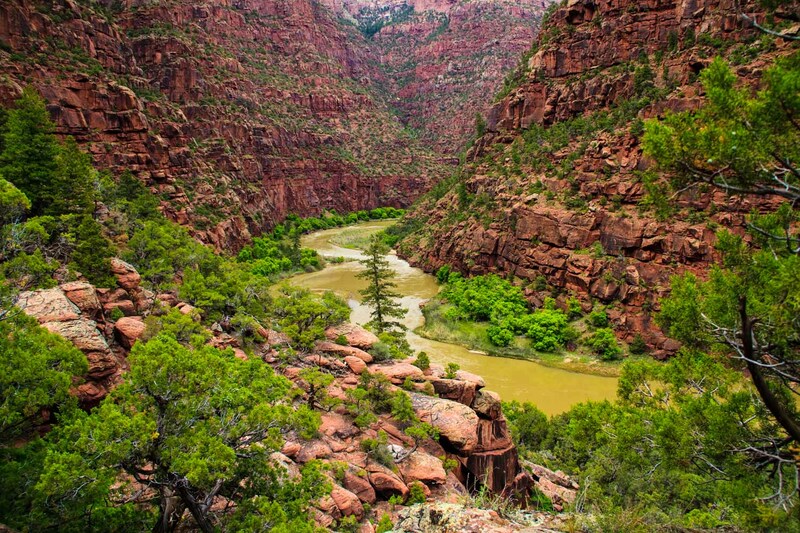 The route starts at Big Bend Ranch State Park and rambles for 100 miles across creek beds and past ancient rock art to the 7,000-foot Chisos Mountains in Big Bend National Park, where you’ll need back­country permits to camp each night. The view from the top is sublime, with the Rio Grande and Mexico falling away as far as the eye can see. —S.P. The austere mountains, turquoise rivers, and wind-whipped steppe of northern Patagonia feel a lot farther off the grid than famed Torres del Paine National Park in Chile’s southern tip. Get even deeper into the steppe with South American outfitter Upscape, which offers fly-fishing, photography, and trekking trips March through April (the end of austral summer) at a pop-up camp on the Jeinimeni River. Just yards from the Argentinean border, Upscape’s remote camp has 300-square-foot tents with sleeping quarters and a living room, and a communal dining tent for meals of perfectly grilled carne asada. Not that you’ll spend much time there with the monster brown and rainbow trout to be stalked, sunsets behind craggy peaks to be captured, and glacial valleys and alpine lakes to be explored. From $3,950 for five days —S.P. When explorer John Wesley Powell made the historic first descent of the uncharted Green and Colorado Rivers in 1869, which was considered impossible at the time, one boat sank and nearly half the crew abandoned the cause. Things will definitely go more smoothly on OARS’s 150th-anniversary re-creation of a portion of the expedition. 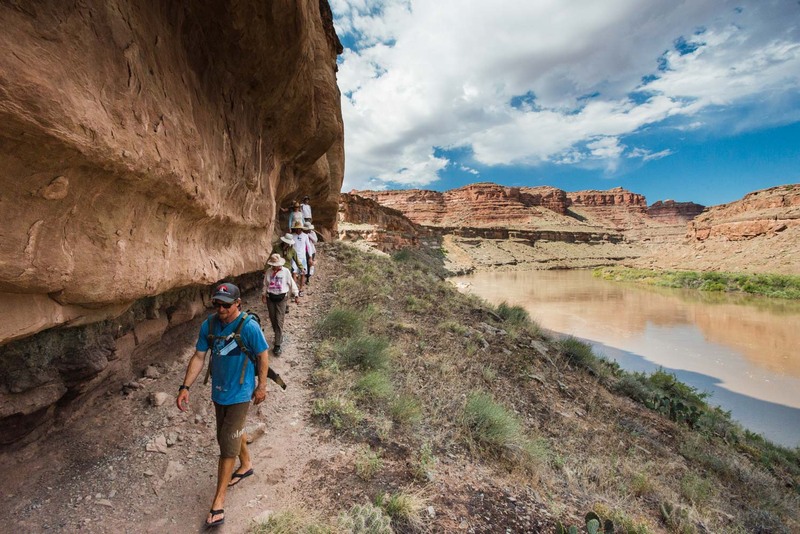 The 28-day, 466-mile, fully outfitted trip through Colorado and Utah encompasses some of the most iconic landscapes in the Southwest—many of them named by Powell himself—while hitting an overload of Class II-IV whitewater. In their youth, the owners of Niehku Mountain Villa, a 14-room adventure base 124 miles north of the Arctic Circle, were ski-bum fixtures at Riksgränsen, a nearby resort on the Norwegian border. Today, Johan Lindblom, a ski patroller turned international mountain guide, and Patrik Strömsten, a ski racer turned award-winning sommelier, run what’s arguably the Arctic’s most luxe lodge, complete with a 500-bottle wine cellar and tundra-to-table restaurant. From its doorstep, helicopters can access 60 skiable mountain peaks. And unlike the Alps, where heli-skiing is limited to a handful of prescribed landing spots, the Arctic is a rule-free playground where you can do as many as 15 lines a day. Grabbing first chair at your local hill no longer sounds that impressive, huh? From $4,658 for three-day heli-ski packages, meals and accommodations included —J.M. The Kentucky Distillers’ Association recently launched three new cycling routes, including a three-day, 188-mile pilgrimage to ten distilleries, notably Woodford Reserve and Maker’s Mark. On this edition of the foodie-friendly Farm to Fork Fondo series, routes of 7 to 93 miles around the Champlain Islands include pit stops stocked with local cider slushies and wood-fired pizzas. Finishers are rewarded with a BBQ feast and a pint of regional craft beer. July 21; from $40 —J.M. Scraping leftovers into a compost pile might not sound like a vacation activity, but on Natural Habitat Adventures’ new seven-day Yellowstone safari, composting is as essential to the experience as camping or hiking. While expert naturalists guide you in search of bison and wolf pups, you’ll also be on an industry-first zero-waste expedition. You’ll drink from reusable water bottles and dine on locally sourced food sans single-use plastics like straws, plates, and cups. Everything that can’t be composted or recycled locally is hauled back to the company’s headquarters in Boulder, Colorado, to be recycled, upcycled, or handed off to TerraCycle, an innovative company that specializes in the reuse of otherwise unprocessable waste. The hope is that the trip will inspire you with the landscape and wildlife while fostering habits you can take home. From $5,695 —S.P. Greenville’s Unleashed Dog Bar is the perfect place for you and your pooch to relax after a long day exploring this burgeoning Southern adventure hub. The 3,500-square-foot on-site dog park features misters and galvanized water troughs to keep your canine cool while you enjoy locals brews, like Catawba Brewing’s White Zombie ale, on the covered patio. In town, bike beside the Reedy River on the 22-mile Swamp Rabbit Trail and refuel along the way at the route’s many breweries and restaurants. Or head into the nearby Blue Ridge Mountains to hike, bike, or paddle. Every May in the high desert an hour north of Phoenix, the 1970s experimental community Arcosanti plays host to Form, the best house party in the Southwest. 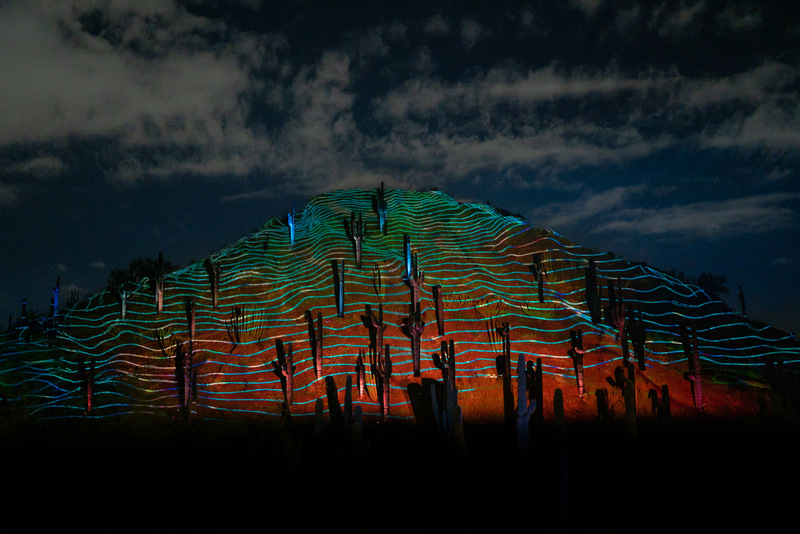 For three days, the festival’s 2,000 attendees start the morning with rooftop yoga, then hike the Verde River basin, mingle during discussions of art and climate change, and groove to an eclectic lineup of world-class musicians and DJs playing sets on three stages. The event removes the commercialism, angst, and druggy vibe from the music-fest template and replaces it with inspirational talks, views of the Sonoran Desert, and daily cliffside pool parties. Need to check Africa off your bucket list? There’s no more iconic destination than Tanzania, and for 25 years, Sandy and Chip Cunningham at Outside GO have been refining the perfect itinerary. On their nine-day safari, you’ll travel with a private guide from the foothills of Mount Meru in the shadow of Mount Kilimanjaro to Serengeti National Park, stopping along the way to view elephants, lion prides, buffalo, and alien-looking baobab trees at Tarangire National Park, as well as one-of-a-kind sunrises over Ngorongoro Crater, at 100 square miles the world’s largest intact caldera. Your housing? A tented camp right on the rim. From $8,295 —N.H. Tourists, a remodeled motor lodge in the Berkshires of western Massachusetts, is your home base for exploring the highland region’s mountain peaks, river valleys, and famed cultural institutions like the Tanglewood Music Center and Clark Art Institute. Set on 55 acres in the town of North Adams along the Hoosic River, the 48-room retreat is the brainchild of a group of creatives that include John Stirratt, whose band Wilco puts on the Solid Sound music and arts festival every other summer at the Massachusetts Museum of Contemporary Art. A network of boardwalks and suspension bridges leads guests to a saltwater pool, art installations, and the Airport Rooms, a craft-cocktail lounge with hearty fare from chef Greg Thomas. The Appalachian Trail runs right through the property, and 3,491-foot Mount Greylock, the state’s highest point, is just half a mile away. From $199 —J.M. Need proof that Eastern Europe is the continent’s new premier destination? Look no further than Krakow. Sitting on the banks of the Vistula River below the 8,000-foot Carpathian Mountains, the city beat out culinary hot spots like Lisbon, Portugal, to become the 2019 European Capital of Gastronomic Culture. And for good reason. Krakow has 26 Michelin-recommended restaurants, such as Karakter, whose chef specializes in making exotic animal parts like bull testicles taste delicious. Burn off those calories pedaling nearly 60 miles of mountain bike trails in the surrounding hills or by sending some of the thousands of limestone climbing routes in the nearby Jura uplands. Two hours to the south are the majestic, craggy Tatra Mountains, a playground with more than 600 miles of trails known as the Little Alps. —S.P. This year marks the 50th anniversary of the outfitter MT Sobek, a California-based adventure travel pioneer and one of the first American companies to offer small-group Himalayan expeditions. Join the celebration on one of its five 20-day pilgrimages to Everest Base Camp this year. Three veteran guides will lead you on a route that hasn’t changed much in the decades since MT Sobek led its first trip in 1969, but that’s a good thing. The dicey flight into the clifftop town of Lukla is an extreme adventure in itself, and staying in Sherpa villages, visiting the iconic Tengboche monastery, and passing rhododendrons in bloom and prayer flags disintegrating in the breeze as you hike more than 8,000 feet up to 17,600-foot Base Camp is one of the world’s most iconic journeys. From $6,695 —S.P. 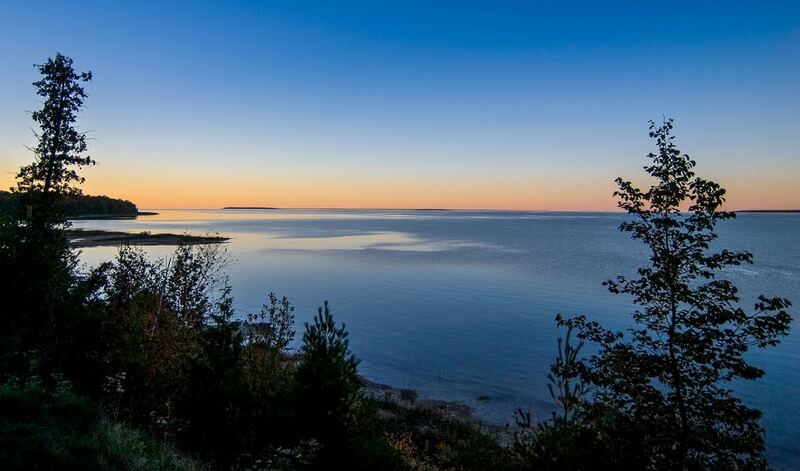 Lake Michigan’s 56-square-mile Beaver Island is only accessible by a two-hour ferry ride or puddle-jumper flights from a few nearby cities and towns. But that remoteness has preserved this adventure haven’s rugged character. The island has five inland lakes filled with pike, perch, and bass, lazy dirt roads that are easily navigated by cruiser bike, and Mount Pisgah, a 150-foot sand dune that, with an elevation of 730 feet, is a surprisingly strenuous hike. For a little more adrenaline, expert paddlers can test their skills against the Great Lake along a new 42-mile water trail that passes remote dunes, wetlands, and beaches as it circumnavigates the isle. 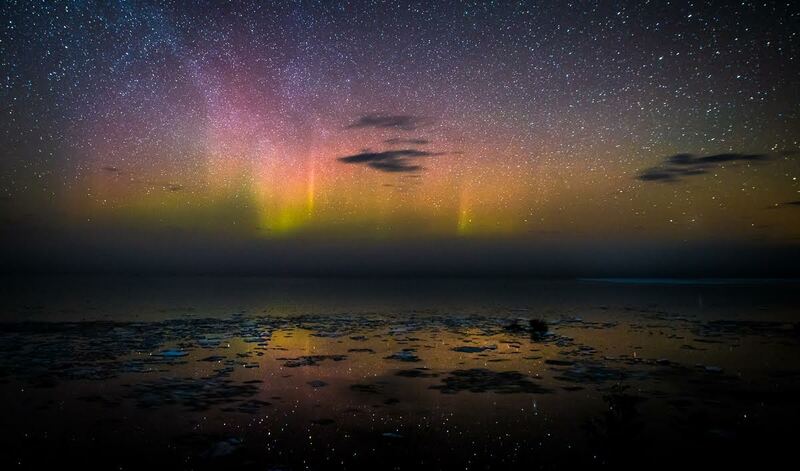 The St. James Township Campground($10) overlooking Garden, Squaw, and Whisky Islands is a great spot to observe the northern lights flicker across the sky. —S.P. Perched dramatically atop a 150-foot cliff overlooking the crashing Pacific, the 103-year-old, ten-room Harbor House Inn in tiny Elk, California, completed an eight-year renovation last spring. Book the property’s Shorepine cottage for private-terrace views of 75-foot-high Wharf Rock, a historic natural arch where ships once docked to load lumber. Then wander the private beach, swim beneath the giant trees of Navarro River Redwoods State Park, ride horseback in the inland mountains, or kayak through sea stacks along the craggy coastline. To experience a different taste of the region, head to the inn’s 25-seat dining room, where chef Matthew Kammerer’s eight-to-twelve-course tasting menus are completely foraged, farmed, and harvested within 50 miles. The payoff? Dishes like spring-vegetable nori with smoked oysters, abalone, and sea vegetables. From $355 —S.P. Richard Weber and his wife, Josée Auclair, and sons Tessum and Nansen have spent 30 years exploring the polar regions, notching countless records and expeditions, like the first crossing of the Arctic Ocean on skis. The family also runs three lodges spread across the Arctic Archipelago, each offering unique adventures. In July and August at Arctic Watch, the northernmost fly-in lodge on the planet, kayak among icebergs while looking for beluga whales. Former Tour Divide champion cyclist Cricket Butler had bikers in mind with every step as she renovated an old barn in northern Montana. The result? 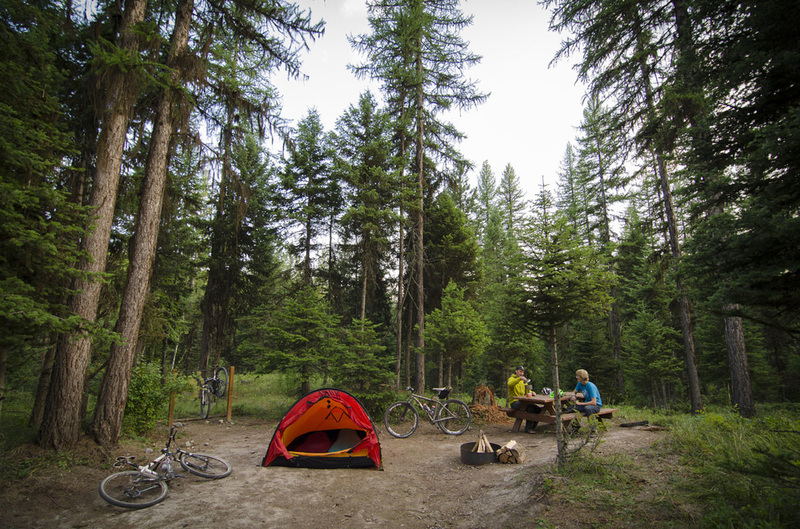 The Whitefish Bike Retreat, a simple, tasteful lodge that serves as a base camp for bikepackers weary from the Great Divide Mountain Bike Route, which passes by six miles away, and rippers looking to explore some of the state’s best trails. Private rooms start at $110, or you can pitch your own tent for $40. Stay in the lodge and you’ll have access to the wood-fired sauna, repair shop, hot showers, and bike wash. As for where to ride, there’s a private skills park on the property, and the 42-mile Whitefish Trail offers machine-cut cross-country routes right out the back door. Nearby Spencer Mountain has freeride terrain, and Whitefish Mountain Resort boasts lift-served downhill galore. —G.A. What nobody tells you about Milford Sound—that World Heritage site and most dramatic of New Zealand fjords—is that there’s (almost) no place to stay. Instead, buses shuttle in day-trippers from Te Anau, an adventure base two hours south, and deposit them onto giant boats for a loop of the fjord. OK, it’s not actually infinite, but with over 200 trad and sport-climbing routes strewn along three miles of world-class sandstone high above the New River Gorge, the Endless Wall sure feels that way. All-day sun makes cool weather ideal for classics like Fantasy, a 5.8 trad crack route that’s one of the crag’s few double pitches. Climbers comfortable leading 5.10’s will get the most out of the area, but the gorge is filled with more than 1,400 established routes to a session. 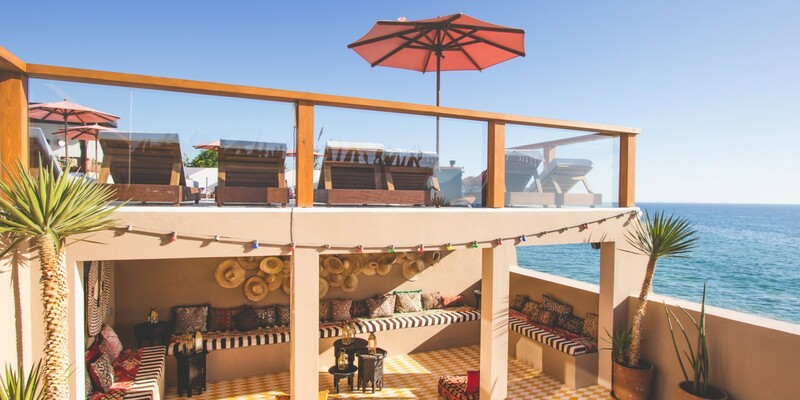 With four lodging options in Taghazout, British expats Ben O’Hara and Ollie Boswell have put this laid-back surf village on any boarder’s bucket list. 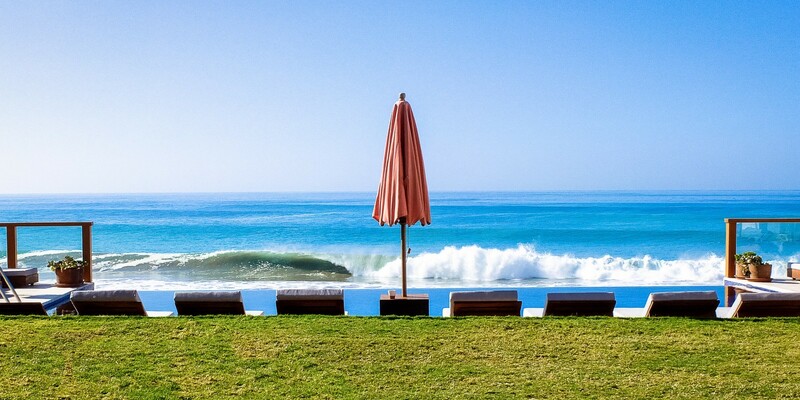 The duo’s newest chic offering, Amouage by Surf Maroc, opened in 2016 and is perched over a point break on a coastline riddled with good waves. And the boutique hotel’s local guides and instructors know a thing or two about where the swell is. The best waves are November through March, and pending conditions, the guides might drive you an hour and a half north to the hamlet of Imsouane or put you in the water right out front. Meals are family style, and the mostly European guests are eager to exchange wipeout stories while lounging on Moroccan poufs. Too tired or sore to surf? There’s yoga in a glass-walled room overlooking the sea, masseuses to knead throbbing arms, and an infinity pool with views of the waves you’re missing. Seven-day packages start at $644, all-inclusive —M.T.